Energy is key source of the whole procedure of advancement, development and survival of every living being and it assumes a basic part in the financial improvement and human wellbeing of the nation. An extremely quality energy arranging is important to deliver the issue identified with supply request, energy neediness and barometrical impacts of vitality development. This activity is relied upon to help comprehend the dynamic idea of the sunlight based energy directions and related issues and furthermore make a stage to share data on appropriate issues. The purpose of this paper is to present an updated overview of PV solar energy system, in addition to assess the growth space and concept of smart grid in the post statute era by considering the domestic conditions, technology development and native industries related to solar energy. Presently a day's sun oriented energy structure is the new patterns of age of power as non-ordinary energy framework. This article presents part of sun based energy framework in clean advancement component and improvement of keen city in India. It is a charming spot for creates power by sun based energy framework since India is thickly populated and has high sunlight based radiation. India's hypothetical sun based power gathering, on just its territory range is around 5000(PWh/year).The everyday normal sun oriented radiation occurrence over India shifts from 4 to 7KWh/m2 with around 1500-2000 sun sparkle hours for each year. In year 2009, India talks to a 19 billion US dollar intend to deliver 20 GW of sun oriented power by 2020.The measure of sun based energy created in India in 2007 was under 1% of the aggregate energy request. The lattice intelligent sunlight based power as of December 2010 was only 10MW. Government subsidized solar energy in India represented roughly 6.4 MW/Year of energy starting at 2005, 25.1 MW was included 2010 and 468MW of every 2011. By July 2012 the introduced framework associated PV had expanded to 1040.67MW and India hopes to introduce an extra 10,000MW by 2017 and an aggregate of 20,000MW by 2022. The measure of land required for sun arranged power plants—at display approximately per km2 for each 20– 60 megawatts (MW) created. The designing more suitable for a vast bit of India would be an exceedingly spread game plan of individual roof control age systems, all related by methods for a close-by organize. As demonstrated by a 2011 report by BRIDGE TO INDIA and GTM Research, India is go up against a perfect whirlwind of components that will drive sun based photo voltaic (PV) gathering at an "irate pace all through the accompanying five years and past". The falling expenses of PV sheets, for the most part from China yet moreover from the U.S., have blended with the creating cost of cross section control in India. Government support and plenteous sun fueled resources have moreover extended sun based allocation, however perhaps the best factor has been require India, "as a creating economy with a surging common laborer, is by and by going up against a real power insufficiency that often continues running in the region of 10 and 13 percent of consistently needs. The organization of India is propelled the usage of sun fueled vitality through various frameworks. In the latest spending get ready for 2010/11, the organization has revealed an assignment of 10 billion (US$189 million) towards the Jawaharlal Nehru National Solar Mission and the establishment of a spotless vitality bolster. It is a development of 3.8 billion (US$71.8 million) from the past spending design. This new spending arrangement has in like manner engaged private sun controlled associations by reducing conventions commitment on daylight based sheets by 5% and exempting remove commitment on sun based photo voltaic sheets. Energy examination of sun powered visually impaired framework idea utilizing energy framework demonstrating. By considering the sun based visually impaired framework worked at 18°C as the set point temperature, the cooling request in the nursery can be practically secured absolutely, which is the primary point of this idea. Nonetheless, the electrical request is decreased nearly by 73%. Furthermore, by applying the sun based visually impaired framework idea, the illumination level inside the nursery kept in the ideal level that prompts more uniform development amid the entire year.5 Modeling and trial research of cross breed PV-thermoelectric framework for high thought sun based energy change. The essential relentless state limited component displaying shows the commitment of the TEC-TEG Module, blowing up the general productivity of the cross breed framework for high sunlight based concentrated illumination; the test and recreation comes about are coordinated (Figure 1). Figure 1 Modeling of solar energy system. All of which brings out another framework that contemplates the PV electric power age, without bargaining the cooling potential and the quick electric creation of the thermoelectric gadgets.6 Displaying and estimating of consolidated power device warm close planetary system for energy age.7 Factual displaying of sun oriented breeze HRES in view of yearly cost, battery self-sufficiency work, measuring criteria and biological factual factor. Well ordered advancement hone is utilized to discover the proficient aftereffect of the sun powered breeze HRES display.8 After this9 created sun powered breeze half breed framework show in light of long haul reproduction. This framework coordinates diesel creating sets with the sustainable power source. Further,10 calculated model of HRES has assessed fuel and energy sparing and announced the issue identified with the misuse of joined inexhaustible and traditional energy sources. An extraordinary element of calculated model is that a supplementary divisive source is acquainted all together with acquire the power electric adjust at the busbar amid the reproduction organize and also not well measured parts assuming any (Figure 2). Figure 2 Assessment of smart grid. 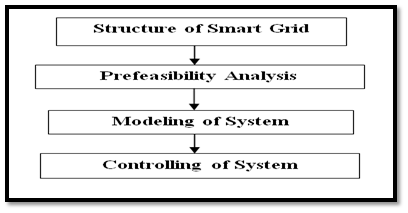 Figure 3 Structure of smart grid. A smart grid is describes by the bidirectional connection of energy and information flows, resulting in power saving and increasing system reliability and operation precision. The main aims of the smart grid are mitigating environmental and economic issues caused by the conventional fossil-fueled generation. The drivers of brilliant framework improvement of Europe can be credited to three perspectives: market, security and power quality, condition. The regard for the significance of ecological security and the developing difficulties of the sustainable power source interconnection, makes the European shrewd network gives careful consideration to the interconnection of the inexhaustible and disseminated age, dependability, control quality and the esteem added administrations of framework to all clients. The objective of the European shrewd network is building up a low-carbon vitality framework, by expanding the interconnection proportion of the sustainable and dispersed age, and accomplishing the reason for the vitality sparing by the request side administration. The shrewd lattice proposed by Europe goes for guaranteeing power supply feasible, monetary, and security, by the utilization of the inventive items and administrations, clever observing, control, interchanges, self-mending advances. The similarity of the operation and activity of the age side, the traditions and the individuals who have both the attributes of energy suppliers and customers, would be come to. In light of the above portrayal of the brilliant lattice, the European Network of Transmission System Operators (ENTSO) and the European Network Distribution System Operators (EDSO) distributed a shrewd framework benefits evaluation framework, which partitions the advantages into nine sections. The appraisal framework contains twenty one key markers. By getting to the markers we can evaluate the advantages of the keen lattice development (Figure 4). The capacity of the framework is assessing and creating viable and productive brilliant network advances, surveying the advantage of the keen matrix extends and choosing more viable and more proficient ventures. In33 illuminated key parts of basic diagram of savvy lattice for computerization, transmission and course system. The noteworthy test lies in appointment structure robotization is the assurance of honest to goodness designing and exchanges parameter and find ached for yield. In context of each one of these perspectives and given parameter, this paper shows a layout of course structure robotization as a bit of insightful framework exercises and its basic segments viz., plan arrangement and commitments. Building design of keen lattice and give the procedures that are incorporated to get a handle on a helpful brilliant matrix as a self doable essentialness wander and show the troubles and favorable circumstances of finishing capable shrewd system.34 Further35 cleared up pro based showing and reenactment of sharp system and the dread of the keen structures and markets mission and vision constitutes a huge transmission and transport of energy systems affecting a couple of accomplices and made distinctive specific, social, monetary, and common and natural challenges. Demand response showing and plan strategy for private clients and system is penniless down using redirection theory estimation and what's more by Dominant Game based Energy Scheduler.36 A various data distinctive yield orthogonal repeat division multiplexing (OFDM) structure for sharp grid evaluation, which is proposed for narrowband control line correspondence (NB-PLC) applications for medium-voltage (MV) frameworks.37 Exhibiting and propagation of feasible power sources in splendid structure using (DEVS) formalism.38 The approach models four major parts in splendid network which are: adjacent planetary gathering, wind structure, accumulating contraptions and the given load ask. The basic walk in arranging a sagacious power and essentialness structure is to exhibit and recreate the various fragments of insightful grid remembering the true objective to settle on correct layout decisions and establishment. In this paper, a showing and entertainment approach in DEVS condition is proposed. Elucidated exhibiting and proliferation of savvy network and an administrator based showing and amusement approach is sensible for exhibiting repeat control in the sharp system. Other than the reenactments raise that demand response could be an achievable option for whatever time span that basic control abilities to the splendid cross section despite when stood up to with correspondence constraints.39 Further40 made exhibiting and building structure and substantiation of insightful grid for wind control blend. The model combines generator and load controllers which empowering suppliers and demanders to offer in a Real-Time Pricing (RTP) control exhibit. The arrangement structure is associated with address a physical exposure broaden drove on the Olympic Peninsula, Washington, USA. Table presents rundown of engineering plan of brilliant framework (Table 4 & Figure 5). Figure 4 Smart grid based solar energy system. 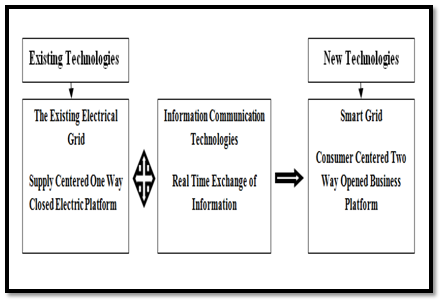 Figure 5 Path of new technologies based smart grid. Reliability is characterized as the possibility of a gadget or framework playing out its motivation sufficiently for the proposed working timeframe. It is likewise as capacity of electrical power structure to supply the framework load with sensible consistency and nature of supply. 41keeping up supply firm quality of little, detached power frameworks utilizing sustainable power source. In this paper deterministic and probabilistic strategy is joined utilizing a framework will being way to deal with give valuable unwavering quality lists to little, segregated power frameworks (SIPS) containing sunlight based breeze half and half framework. An assessment of the commitment from PV and WES to SIPS unwavering quality is exhibited and42 built up an outline of an ideal HRES thinking about dependability files. In this paper subjected to money related and logical requirements. The specialized imperatives identified with framework unwavering quality are verbalized by the proportional misfortune factor. The unwavering quality record is ascertained from part stoppage that incorporates WT, PV cluster, battery, and Inverter disappointment. Advance43 exhibit effects of sustainable power source entrance on nodal cost and nodal firm quality in deregulated control framework. In this paper the firm quality of wind and sunlight based power are examined in a poolco advertise activity. The technique catches the ordered implementation of list firm quality examination has been proposed. An firm quality evaluation of PV-Wind cross breed framework utilizing Monte-Carlo reproduction. This paper will talk about the different parts of HES including PV and WECS and their displaying for dependability examines. A few strategies for unwavering quality assessment have been accounted for in this paper.44,45 Presents enhancements of framework dependability are mapped with the support of energy gadgets (Figure 6) (Figure 7). Figure 7 Incentives offered in India in solar energy system. A probabilistic dependability assessment of off matrix little half breed sunlight based breeze control framework for the country charge in Nepal. This paper is centered around the examination and investigation of cross breed framework unwavering quality in view of different dependability records like Loss of load desire (LOLE), Expected vitality not served (EENS), Energy list of dependability (EIR), Expected client interference cost (ECOST) are assessed through probabilistic approach utilizing explanatory strategy.46 In paper47 the impact of adding solar energy sources and energy storage to a microgrid distribution system is investigated. Markov modeling is used to model the energy storage as well as to assess the overall reliability of the system Markov modeling is used. Roy Billinton Test System (RBTS) is used to approximation different loads and system indices, including System Average Interruption Duration Index (SAIDI), System Average Interruption Frequency Index (SAIFI), Customer Average Interruption Duration Index (CADI), Average System Unavailability Index (ASUI) and Energy Not Supplied (ENS). For distribution expansion planning48 paper presents a framework to assess the investments in Battery Energy Storage Systems (BESS), considering a high penetration of solar photovoltaic (PV) distributed generators.. In paper49 a stochastic analysis method is studied and applied to the assessment of PV integrations on the 11.4kV distribution feeder that serves as offshore wind turbine (WT) testing site in Taiwan and analysed by MATLAB and Open DSS co-simulation technique. Smart Grid is an unavoidable pattern of energy framework, and shrewd matrix thorough evaluation framework can direct a complete appraisal of the general attributes of savvy lattice, which can mirror the present level of the improvement, discover the shortcoming and the limitations in the system advancement, distinguish the separation to the objective, guarantee the brilliant network improvement accomplish a unification of the quality, speed and effectiveness. At present, numerous nations are examining on the savvy lattice far reaching appraisal frameworks. Number of authors address different architectural design related to configuration of smart grid. The key challenge lies in transmission & distribution system automation is the assortment of proper structural design and communications parameter and find out desired output. It is necessary to develop architectural design of smart grid on the based on energy conservation & energy efficient manner as well as minimum carbon emission concept, which is very beneficial for sustainable development. 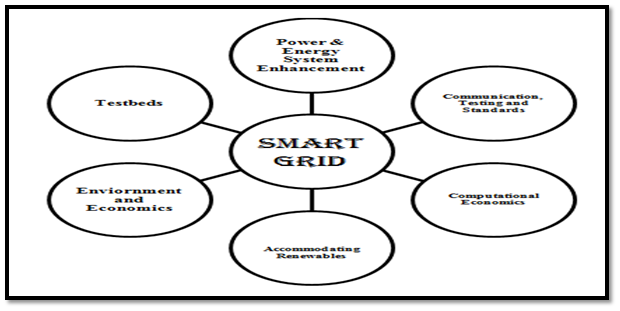 The proposed smart grid appraisal framework should regard keen network as a natural entire, mirror the data, computerization, interoperate highlights, give full thought to the electric vehicles, vitality stockpiling, other esteem included administrations model and social advantages of vitality sparing and condition assurance, shape a solidarity shrewd lattice assessment framework based on mirroring the time contrasts and provincial contrasts aimd the brilliant network improvement. Kalantar M, Mousavi SMG. Dynamic behavior of a stand-alone hybrid power generation system of wind turbine, micro turbine, solar array and battery storage. Applied Energy. 2010;87(10):3051–3064. Yang H, Zhou W, Lu L, et al. Optimal sizing method for stand-alone hybrid solar–wind system with LPSP technology by using genetic algorithm. Solar Energy. 2003;82(4):354–367. Boonbumroong U, Pratinthong N, Thepa S, et al. PSO for ac- coupling standalone hybrid power system. Solar Energy. 2011;85(3):560–569. Vikas Khare, Savita Nema, Prashant Baredar. Optimization of hybrid renewable energy system by HOMER, PSO and CPSO for the study area. International Journal of Sustainable energy. 2017;36(4):326–343. A Vadiee, Viktoria Martin. Solar Blind System. Solar Energy Utilization and Climate Mitigation in Glassed Buildings. Energy Procedia. 2014;57:2023–2032. Khaled Teffah, Youtong Zhang. Modeling and experimental research of hybrid PV-thermoelectric system for high concentrated solar energy conversion. Solar energy. 2017;157:10–19. Leblanc S. Thermoelectric generators: Linking material properties and systems engineering for waste heat recovery applications. Sustainable Materials and Technologies. 2014;1–2:26–35. Marchetti GP, Piccolo M. Mathematical models for the construction of a renewable energy hybrid plant. International Conference on Telecommunications Energy. 2002. Consoli A, Musumecis S, Raciti A. Hybrid system long simulation. 1995. Bonnano F, Consoli A, Lombardo S, et al. A logistical model for performance evaluations of hybrid generation system. IEEE Transactions on Industry Applications. 1997;34(6):1397–1403. Ghali FMA, Syam FA. Simulation and analysis of hybrid system using probabilistic techniques. Proceedings of Power Conversion Conference. 1997. Zahedi A, Wren S. Development of a numerical model for evaluating the performance of renewable generation system. Conference on Computers, Communications, Control and Power Engineering. 2002. Potamianakis EG, Vournas CD. Modeling and simulation of small hybrid power system. IEEE Bologna Power Tech Conference Proceedings.2003. Gupta A, Saini RP, Sharma MP. Modeling of hybrid energy system for off grid electrification of cluster of villages. International Conference on Power Electronic, Drives and Energy Systems. 2006. Alam MA, Gao DW. Modeling and analysis of a wind/pv/fuel cell hybrid system in HOMER. IEEE Conference on Industrial Electronics and Applications. 2007. Badejani MM, Masoum MAS, Kalanta M. Optimal design and modeling of standalone hybrid PV-Wind system. Australasian Universities Power Engineering Conference. 2007. Gupta A, Saini RP, Sharma MP. Design of an optimal hybrid energy system model for remote rural area power generation. International Conference on Electrical Engineering. 2007. M Kashif Shahzad, Adeem Zahid, Tanzeelur Rashid, et al. Techno-economic feasibility analysis of a solar-biomass off grid system for the electrification of remote rural areas in Pakistan using HOMER software. Renewable Energy. 2017;106:264–273. Sunanda Sinha, SS Chandel. Review of recent trends in optimization techniques for solar photovoltaic–wind based hybrid energy systems. Renewable and Sustainable Energy Reviews. 2015;50:755–769. Jing Li, Wei Wei, Ji Xiang. A Simple Sizing Algorithm for Stand-Alone PV/Wind/Battery Hybrid Microgrids. Energies. 2012;5(12):5307–5323. Anurag Chauhan, RP Saini. A review on Integrated Renewable Energy System based power generation for stand-alone applications: Configurations, storage options, sizing methodologies and control. Renewable and Sustainable Energy Reviews. 2014;38:99–120. Chong WT, Naghavi MS, Poh SC, et al. Techno-economic analysis of a wind-solar hybrid renewable energy system with rainwater collection feature for urban high rise application. Applied Energy. 2011;88(11):4067–4077. Sinha S, Chandel SS. Prefeasibility analysis of solar wind hybrid system potential in a complex hilly terrain. International Journal of Engineering Technology and Advanced Engineering. 2013;3(3):277–282. Aydin NY, Kentel E, Duzgun HS. GIS based site selection methodology for HRES: A case study from western Turkey. Energy Conversion and Management. 2009. Ma T, Yang H, Lu Lin. A feasibility study of a standalone hybrid solar-wind-battery system for a remote island. Applied Energy. 2014;121:149–158. K Verma, KR Niazi. Generator coherency determination in a smart grid using artificial neural network. Power and Energy Society General Meeting. 2012. Marzband, A Fatemeh, S Mehdi, et al. An Optimal Energy Management System for Islanded Microgrids Based on Multiperiod Artificial Bee Colony Combined With Markov Chain. IEEE Systems Journal. 2015;11(3):1712–1722. R Rastgoo, S Vahid. A neurofuzzy QoS-aware routing protocol for smart grids. Iranian Conference on Electrical Engineering (ICEE). 2015. LT Bahrani, CP Jagdish, K Ryszard. Orthogonal PSO algorithm for optimal dispatch of power of large-scale thermal generating units in smart power grid under power grid constraints. International Joint Conference on Neural Networks (IJCNN). 2016. SM Ali, M Jawad, B Khan, et al. Wide area smart grid architectural model and control: A survey. Renewable and Sustainable Energy Reviews. 2016;64:311–328. SN Nazmus, A Khandakar, AG Mark, et al. A survey of smart grid architectures, applications, benefits and standardization. Journal of Network and Computer Applications. 2016;76:23–36. MM Divya, N Radhika. Design of a Secure Architecture for Last Mile Communication in Smart Grid Systems. Procedia Technology. 2015;21:125–131. Pavan Kumar, B Ravikumar. Key Aspects of Smart Grid Design for Distribution System Automation: Architecture and Responsibilities. Procedia Technology. 2015;21:352–359. AJ Lopes, R Lezama, R Pineda. Model Based Systems Engineering for Smart Grids as Systems of Systems. Procedia Computer Science. 2011;6:441–450. Philipp Ringler, Dogan Keles, Wolf Fichtner . Agent-based modelling and simulation of smart electricity grids and markets – A literature review. Renewable and Sustainable Energy Reviews. 2016;57:205–215. SS Reka, V Ramesh. Industrial demand side response modelling in smart grid using stochastic optimisation considering refinery process. Energy and Buildings. 2016;127:84–94. IC Andreas, AP Theofilos, E Ahmed, et al. Optimized MIMO-OFDM design for narrowband-PLC applications in medium-voltage smart distribution grids. Electric Power Systems Research. 2016;140:253–262. M Jarrah. Modeling and Simulation of Renewable Energy Sources in Smart Grid Using DEVS Formalism. Procedia Computer Science. 2016;83:642–647. O Kilkki, A Kangasraasio, R Nikkila . Agent-based modeling and simulation of a smart grid: A case study of communication effects on frequency control. Engineering Applications of Artificial Intelligence. 2014;33:91–98. Torsten Broeer, Jason Fuller, Francis Tuffner. Modeling framework and validation of a smart grid and demand response system for wind power integration. Applied Energy. 2014;113:199–207. Billinton R, Karki R. Maintaining supply reliability of small isolated power systems using renewable energy. IEE Proceedings - Generation, Transmission and Distribution. 2001;148(6):530–534. Ardakani FJ, Riahy G, Abedi M. Design of an optimum hybrid renewable energy system considering reliability indices. Iranian Conference on Electrical Engineering. 2010. Zhao Q, Wang P, Goel L, et al. Impacts of Renewable Energy Penetration on Nodal Price and Nodal Reliability in Deregulated Power System. Power and Energy Society General Meeting. 2011. Kishore LN, Fernandez E. Reliability well being assessment of pv wind hybrid system using monte carlo simulation. ICETECT. 2011. Blaabjerg F, Ma K, Zhau D. Power electronics and reliability in renewable energy system. IEEE ISIE. 2012. Pradhan N, Karki NR. Probablistic reliability evaluation of off-grid small hybrid solar pv wind power system for the rural electrification in Nepal. NAPS-IEEE. 2012. Taiseer Tuffaha, Mohammad AlMuhain. Reliability Assessment of a Microgrid Distribution System with PV and Storage. International Symposium on Smart Electric Distribution Systems and Technologies. 2015. Mauricio E Samper, Alberto Vargas, Fathalla Eldali, et al. Assessments of Battery Storage Options for Distribution Expansion Planning Using an Open DSS-Based Framework. IEEE Manchester Power Tech. 2017. Yu Jen Liu, Yu Hsuan Tai, Chi Yang Huang, et al. Assessment of the PV Hosting Capacity for the Medium-Voltage 11.4 kV Distribution Feeder. IEEE International Conference on Applied System Invention (ICASI). 2018. ©2018 Pawar et al. This is an open access article distributed under the terms of the Creative Commons Attribution License , which permits unrestricted use, distribution, and build upon your work non-commercially.